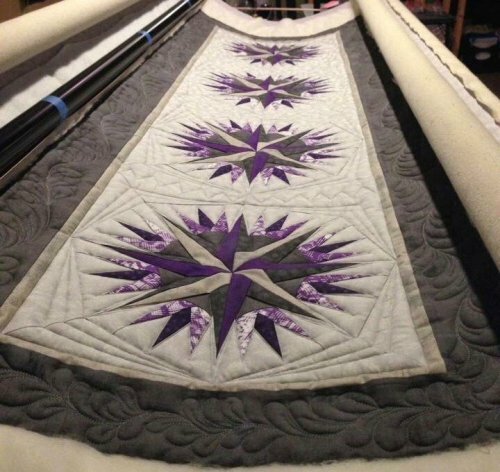 Compass Rose table runner was designed after the 2013 Judy Niemeyer technique of the month, Mariners Compass. 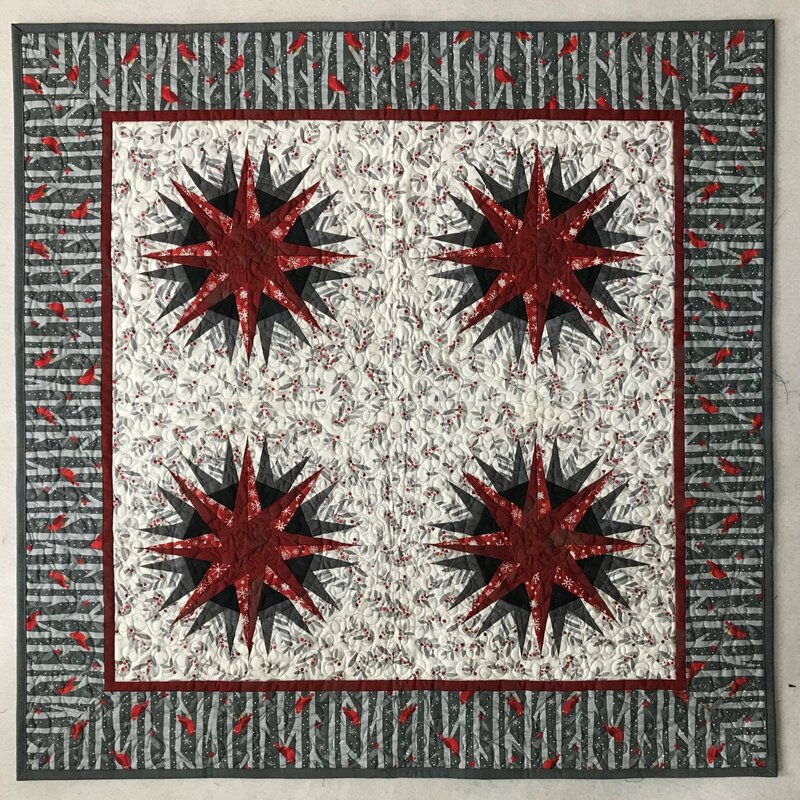 This technique is used in many other patterns by Quiltworx.com. The pattern includes two sets of papers--you can make it the traditional layout or an altered layout. Paper piecing and floating point techniques along with a really neat narrow border technique I had never used until I started making Quiltworx patterns, this is also used in other patterns! Requirements: Students must come with supplies listed in Supply List. The retreat center will open on Friday at 9 am to allow students time to work on cutting prior to the class starting at 5 pm. Instructor Bio: Ana Blickenderfer, Sew That!